The golden rule of every Resume is to keep is brief, accurate and engaging. While it may be possible that your application is derived of appealing elements, this does not give you a reason for telling lies. Yes, people do tell lies with such exaggerations that at times it seems too good to be true. It can be easily spotted by the trained the eyes of an experienced recruiter. This could give you the benefit of a chance leverage in case the exaggerations are not noticed, but the down side of being caught red handed is that you could be marked as a red flag, thereby ruining your chances at a good job. How does it get a job when I am a fresher and recruiters only want experienced candidates? The first thing you should understand is that there are certain positions where Freshers are preferred and these should be targeted at priority. If the position requires an experienced person, then being completely transparent could reduce your chances of being selected. However, under no circumstances should you ever quote false information. 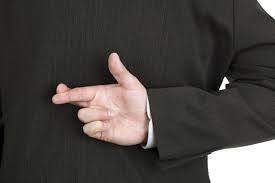 The following are the 4 most common lies that are provided in resumes. These resume writing tips could help you to come up with a killer application document. Job seekers find it easy to lie about their skills and proficiencies because it is a tough task to accurately verify them in a simple interview. This can be verified only in an in-depth interview or the modern case interview methods. The problem occurs when the candidates fail to understand the relevancy of the skills and end up stating irrelevant proficiencies just to cover up the lack of skills. Arranging skills as per organizational preference is a good practice, but mentioning fake skills are a malpractice. It’s still unclear why job seekers tend to mention fake qualifications and academic pursuits as these are pretty easy to verify. Lack of relevant experience is not the only reason behind the faking of qualifications. Most people do it to “upgrade” the level of their qualification as they feel that their profile is not strong enough to get noticed. Some do it to cover up for the years missed out on formal education as they have probably quit education due to greater learning potential. There are many self-taught academicians who have dropped out of traditional learning institutes because it was too slow for them. The best way to portray these uncommon academic pursuits is to mention them accurately in the resume and explain your skills in a better manner instead of faking your degrees. It’s a sin to fabricate tasks, especially when you have no idea about them. Freshers are tempted the most to mention tasks that may seem highly appealing for the applied job position, but they may not have the proper understanding of these activities. All grads need to understand that no one expects you to have a prior experience when you are targeting your first job. They need you to have the basic understanding of the applied concepts and theories. Post selection, the candidates are provided on job training to understand the responsibilities and tasks. While it is good to portray your obligations in a good way, but the mentioning false information would only get you in trouble. The difference between great people and everyone else is that great people create their lives actively, while everyone else is created by their lives, passively waiting to see where life takes them next. The difference between the two is the difference between living fully and just existing.